Hummingbirds are quick creatures. In flight, they can reach speeds between 20 to 30 miles per hour and flap their wings up to 70 times per second. All this activity makes them voracious eaters, and because they have extremely fast metabolisms, they must keep moving in order to consume enough nectar, pollen and sap each day. 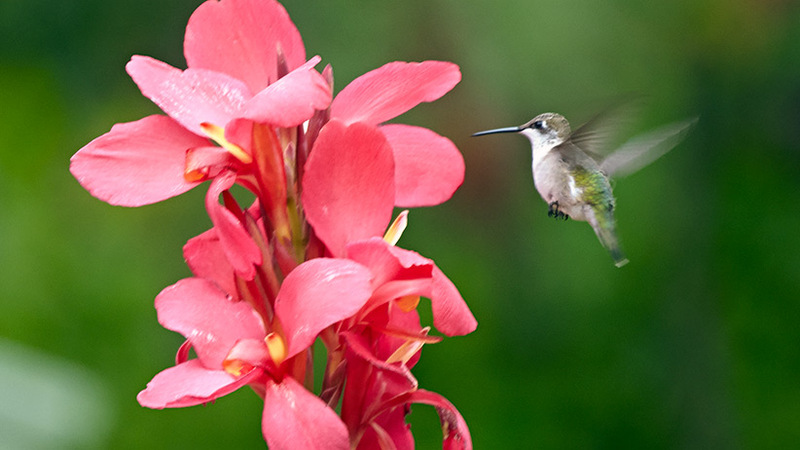 Here are four plants you might not realize hummingbirds love. 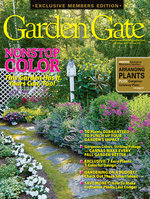 Scroll on to learn more about each plant and the flower colors and shapes that keep them well-fed. 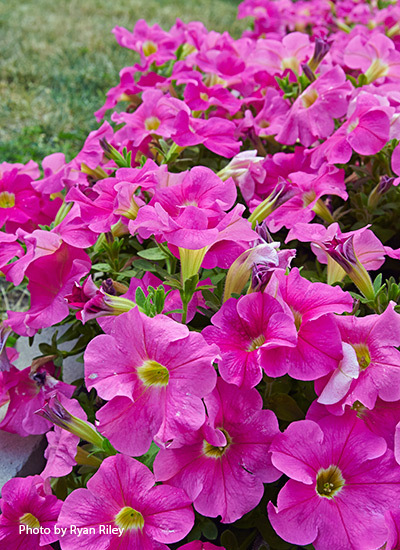 Multiseason color doesn’t get more low-maintenance than long-blooming, sun-loving petunia. Since you can choose from vigorous trailers or more compact mounds, hummingbirds will have lots of options — from mass plantings to containers — when they visit your yard. 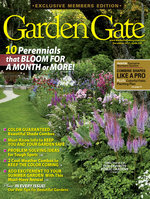 And with so many bright colors to choose from, there’s a petunia for any full sun garden spot. 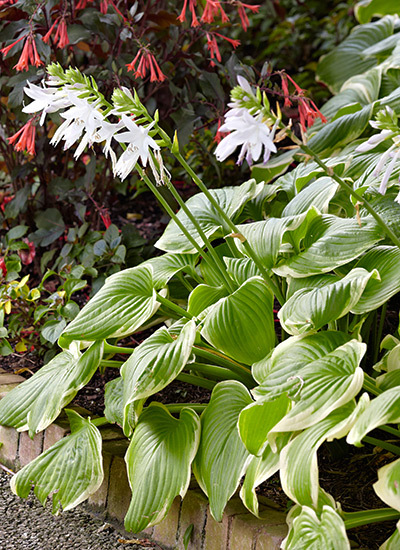 Some gardeners prefer to cut back hosta’s flowers, to keep the focus on the leaves. But even though this foliage favorite’s blooms only open in white, purple or lavender, they’re hummingbird magnets. And you can always bring hummingbirds to the area more quickly by planting other nectar-rich red flowers close by, just like the fuchsia (Fuchsia triphylla) behind ‘Fragrant Bouquet’ above. 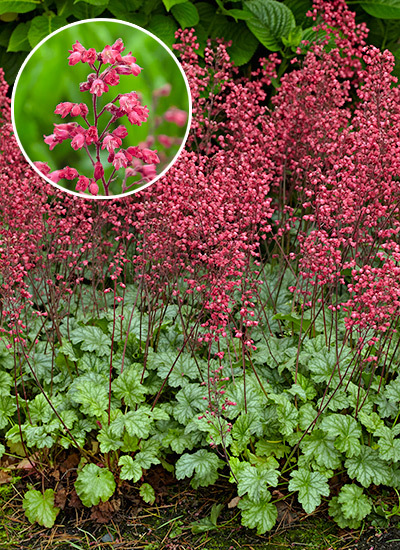 Coral bells are often grown for their good-looking mounds of foliage, but don’t forget that hummingbirds love their blooms. Once the stems of small tubular flowers fade, deadhead them back below the leaves to encourage more. Bright pink ‘Paris’ above is a reliable rebloomer with silver-overlaid green leaves, but other cultivars can have ruffled, mottled or variegated foliage in shades from burgundy to chartreuse. 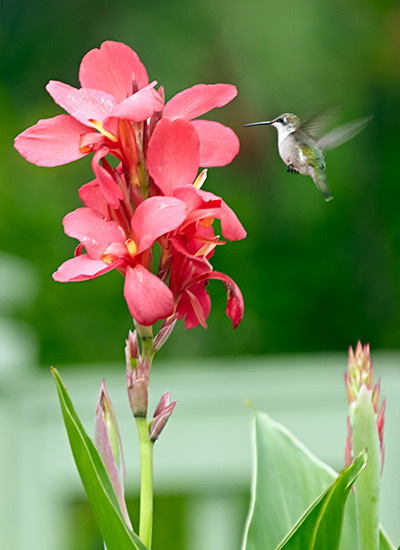 When canna is in bloom, it doesn’t just draw the attention of your guests — hummingbirds love the nectar-rich flowers, too. To attract the most hummingbirds, plant red cultivars, like Cannova® Rose here. 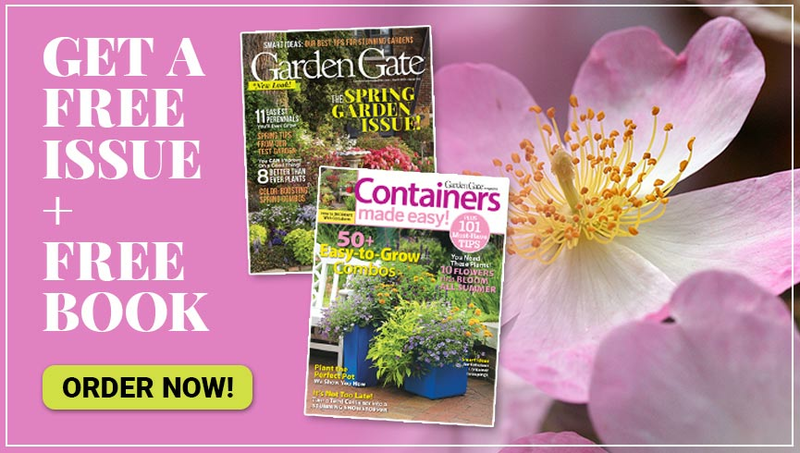 Hybridizing has made shorter cultivars more common, which means you can plant cannas closer to the front of the border or in containers positioned for the best view of visiting hummingbirds. Small but mighty, this lovable spring bulb is hard to beat. Take our tips for growing beautiful grape hyacinth!